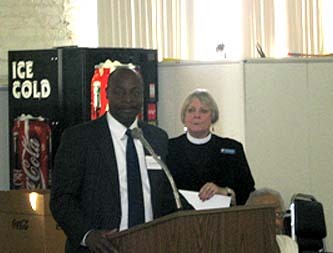 To address the foreclosure crisis in Wayne County, the National Black Church Initiative (NBCI), Fannie Mae, and Wayne County convened a meeting of stakeholders on June 23, 2008 at Christ Church in Detroit. The purpose of the meeting was to educate stakeholders on current solutions to address the crisis, identify needs, and create a plan to address gaps in existing solutions. 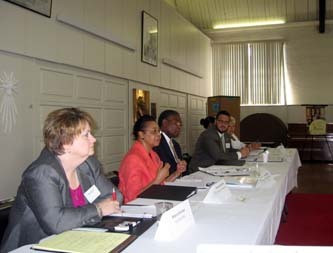 The meeting was a follow up to a May 15 roundtable with Wayne County and the NBCI. 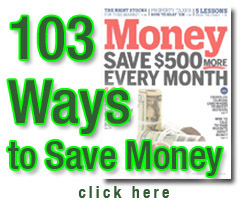 In 2007, there were over 27,000 foreclosures in Wayne County, a 90% increase from 2006. 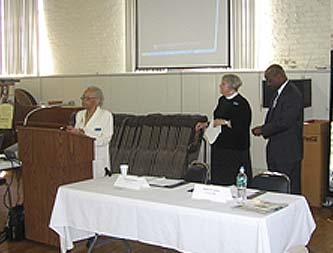 In 2008, the number of foreclosures in Wayne County is expected to top 50,000.
the discussion, and presentations were delivered by Shelia Green, Reverend Vincent of Mission of Peace, Jamele Hage, and Mary Lee Widener of NHSA. Mary Lee discussed NHSA’s patient capital fund, R Home, and gave an overview of JPS Platform solutions. Wayne County officials were very interested in these efforts and offered NHSA (at the suggestion of Congresswoman Kilpatrick’s representative) office space to get the programs off the ground in Detroit. Detroit Hope discussed its June 25th outreach event and the fact that servicers are concerned that things in the surrounding areas were so devastating that in many cases, people cannot afford the gas to attend their seminars. It was noted that there should be a focus on a "dignified exit" when all options have been exhausted for people to remain in their homes. The Servicers reported that borrower contact remains a big issue. It was suggested, rather strongly, that the industry begin to partner with nonprofits to reach out to their "no contacts" by providing a list to these organizations. The privacy issue was raised, and options to address explored as a next step. Participants also wanted to explore holding a Phone-A-Thon as they heard reports that this was an effective way to reach homeowners following the Cincinnati event. Terrence Keit, the Chief Deputy Treasurer of Wayne County highlighted the department's "Operation Normandy" effort that has aligned his office with over 20 local nonprofit agencies on outreach to impacted communities on a wide range of social service issues. Congresswoman Kilpatrick's office discussed how the use of trusted advisors in the community was critical and how it was important to educate young people about the process and responsibilities of purchasing and owning a home. The MBA and Wayne County expressed a desire for the industry to focus on consistent messages to homeowners and access to web-based information on solutions for borrowers having difficulty paying their mortgages. The MBA in Michigan is developing a borrower resource guide to help address this issue, and Wayne County is offering borrower seminars on the web. Both organizations expressed concerns that when borrower conduits, such as family, friends, trusted advisors and others, provide mis-information, it becomes widespread and exacerbates the problem. Jamele Hage will utilize her Advisory Council to involve the participants of the roundtable on an ongoing basis and the group agreed that the MFPP plan to host outreach events and provide borrower counseling via their web site would be a key to success. United Way 211 committed to exploring revising it scripts to determine whether individuals who seek their services are also homeowners. UM 211 believe it can steer homeowners in trouble to counseling. Rebecca Ketchum of Wells Fargo has proposed a "faith-based" strategy to increase borrower contact. Fannie Mae is working with the Wayne County MFPP on their outreach events, the web site and will participate in their Advisory Council. One focus will be seeing if additional counseling staff can be trained for this effort. Fannie Mae could also utilize direct mail to impacted borrowers as part of the outreach event planning. Mike Shea of ACORN will follow up with Wayne County to begin plans to open an office in Detroit. The NHSA is piloting their "Patient Capital Fund" approach in Detroit and will work with Rev Evans on developing a "mechanism" to offer this model more widely, perhaps through his network of churches. Jamele offered Mary Lee Widener of NHSA the use of the Wayne County office to support an NHSA presence in Detroit. Reverend Evans will explore faith-based institutions bringing buses of congregants and parishioners to Hope Now foreclosure prevention workshops. Kick off of the Event by a Christ Church Parishioner along with Reverend Carole Cole Flanagan of Christ Church and Rev Anthony Evans. Rev Evans and Reverend Flanagan of Christ Church. 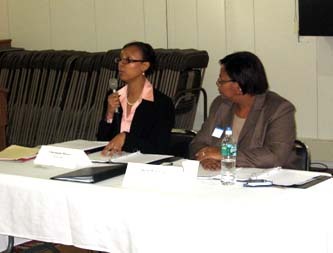 Charmaine Brown and Shelia Green from Fannie Mae were the “co-hosts” of the event and led many of the discussions. Roundtable participants including (from left) Rebecca Ketchum from Wells Fargo, Mary Lee Widener and Ernest Baskette of NHSA and Bill Sullivan from United Way 211.